I posit the better answer is no. While I agree that such a situation would be undesirable (although I remain unconvinced that it would necessarily be the case), I suggest that Kant’s self-focused analysis of lying is so full of holes as to not hold water. Contracts of all types by their nature are based on reciprocity. Kant himself emphasizes the role that reciprocity plays in his view of morality. In other words, it takes two to tango. Without at least one other person to hear them, my declarations (truthful or not) can have no external effect. To be valid, legal contracts require reciprocity (mutuality) – a meeting of the minds of two persons as the result of a valid offer and acceptance. If mutuality is not achieved, there is no contract and no harm related to such contract can accrue. I accept that in Kant’s brief essay “On a Supposed Right to Lie out of Love for Man”, where he compares the duties of men in regards to lying to those in contract law, Kant does not intend to give us a lawyer’s brief. He does however make clear he is arguing on legal grounds (Schwarz, 63-65). Therefore a legal analysis of the rights, duties and harms created under the moral law is regards to lying, not out of place. Under Kant’s definition of a ‘lie’, an offer is indeed presumed made, because it necessarily involves a person making a declaration, which she ‘invites’ another to believe (Mahon, 102-103). Certainly in telling the Nazi that Abraham is not in my home, I am inviting him to believe it. Why else, under the circumstances, would I make such a statement? But under contract law (as well as in the course of daily human interactions) is it not the duty of the Nazi to determine whether to believe it and thus accept my invitation? And if he does not choose to believe it, and acts accordingly (perhaps bashing down my door and scouring my sitting rooms for himself), then despite my offer of an untruthful statement there is no mutuality and thus no lie (nor can there be any harm that might otherwise have accrued from a lie). Assuming for sake of argument that this is the case, what are the implications for Kant? As Scruton (85) points out, Kant clearly wishes to establish a code of morality which can be applied in the vacuum of pure rationality – separate and aside from the competing interests, desires, and ambitions of the men and women who would implement it. He wishes to set forth a maxim by which these individuals might test their proposed conduct without regard to those to whom such conduct will be directed (i.e. without regard to effect). Yet how can a self-focused moral code (at least as regards to lies – which requires two to tango) be rational if its premise rests on the reciprocity of another? It cannot, unless it imposes so many restrictions on its operation as to render it, in effect, redundant. In my view this is precisely what Kant did when by over-refining his definition of a lie, he gave his blessing to a variety of other untruthful expressions that would accomplish the same purposes as lying (as defined by Kant). For example, according to Kant if by not uttering a word to the Nazi, I were to slam the door in his face, then I have not lied. Same result if jokingly I told him that “of course Abraham isn’t here….ha….ha…no one as clever as you, Sir Nazi, could possibly believe that one as clever as old Abraham would hide in so obvious a place.” Likewise with Kant’s blessing, I could dither on about the weather until shaking his head, the Nazi walked away assuming I was a raving lunatic. Yet in each of these scenarios where I have not technically lied, have I not made an offer (of misinformation) to the Nazi hoping that he will accept it and go away? In each of these scenarios, was not my inner state of mind the same as it was when in direct answer to the Nazi’s question, I squeaked ‘no’? By choosing any of these alternatives to an outright lie, have I not still eroded the trust others would place in my future “statements” and thus caused harm to humanity? If the answer to any of the above is yes, then I suggest that Kant has gained nothing with his prohibition against lying. This is because (1) in the business of lying it takes two to tango (both in practice and in theory) and thus a lie cannot occur in a self-focused vacuum and (2) no benefit is achieved by a moral law that defines a moral wrong is such a way as to allow that same harm (its prohibition is meant to avoid) to be wrought by a variety of other actions that are accepted by said moral law. My actions fit squarely into his narrow definition of a lie which is prima facie, a contravention of the moral law; it is a declaration that I make (1) freely (i.e. not under compulsion), (2) believing (to the best of my knowledge) such declaration to be untrue, (3) inviting another to believe it is true. (Mahon, 102). My intent is not to reform the definition of a ‘lie’, but to explore the inherent weakness in a theory that relies heavily on narrow definitions (i.e. definition of a ‘lie’) to support its tenants. According to Kant, harm also occurs from a lie because the liar has failed to respect the person he has lied as an end in himself instead of as and end to the liar’s own means. This harm is not one that I intend to address because I do not consider that “respect” is a right founded in contract. It is not my intention to argue that moral duty could or should be legislated. Neither is it my intention to posit that the legal law should take precedence over the moral law (or vice versa). Instead I wish to investigate the parallels of legal and moral duties in order to better articulate and identify the reciprocity and mutuality of duties underlying our moral duties in Kant’s own scheme. Kant notes that in accordance with civil law, the unforeseen events stemming even from well-intentioned lies are punishable under a civil tribunal. Although he does not comment on whether such a situation could itself bring the wheels of social and economic commerce to a halt, I suggest that it would because citizens, suspecting a no-win situation, would fear to take any action. As Timmermann (129) makes clear, for Kant morality rests on reciprocity and the equality of moral status of rational agents each acting freely. “Do unto others as you’d have them do unto you” is a maxim often associated with Kant’s moral code. Yet such a maxim cannot by its very nature operate in a vacuum – because in choosing how to act toward others, you must necessarily consider how you wish them to act toward you. In this regard, I refer to contract law under Common Law (the law of countries taking as their lead from English law) as opposed to Civil Law (the law of countries – such as Germany and Austria – taking their lead from /Roman-Napoleonic law). 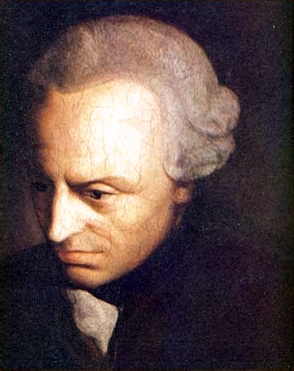 Although Kant made it clear that one’s duty to oneself cannot be treated juridically, he was clear that the law did and should touch one’s relations with other men. It is for this reason that he suggests that when one hinders another’s freedom in contradiction to the universal law (and presumably one’s right place in the Kingdom of Ends), he does him an injustice (Finnis, 433). Although it is not clear to me the extent of the parallels Kant believe to exist between legal and his ethical law, I believe it safe to assume he believed they drew from each other in fair measure as he regularly speaks of one in reference to the other. Even if the Nazi did choose to accept my offer and believe my untruthful statement, under common law it is not the case that any and all harm accruing to him from doing so would be ascribed as my fault. He would at best have a right to be reimbursed for direct and foreseeable losses caused by reliance on the contract. Finnis, JM. “Symposium on Kantian Legal Theory: Legal Enforcement of “Duties to Oneself”: Kant v Neo-Kantians”, Columbia Law Review, vol. 87, (1987) pp. 433-456. Kant, Immanuel. “On a Supposed Right to Lie Out of Love for Man,” Berlinische Blätter, vol. 1, September 6, 1797. Mahon, James E. “Kant on Lies, Candour and Reticence”, Kantian Review, vol. 7 (2003), pp.-102-133. Schwarz, Wolfgang. “Kant’s Refutation of Charitable Lies”, Ethics, Vol. 81, No. 1 (Oct. 1970), pp. 62-67. Scruton, Roger. Kant – A Very Short Introduction; Oxford University Press (2001). Timmermann, Jens. “When the Tail Wags the Dog: Animal Welfare and Indirect Duty in Kantian Ethics, Kantian Review, Vol. 10 (2005) pp. 128-149.